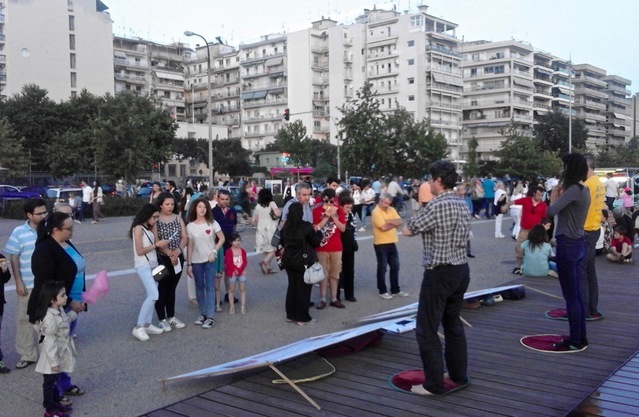 In Thessaloniki, the second largest city of Greece and capital of the region Macedonia, tourists and locals come across a special attraction every weekend while out strolling along the seafront. Next to the famous “Umbrellas” sculpture, they will find Falun Dafa practitioners demonstrating the meditation practice and raising awareness about the 17-year persecution of Falun Dafa in China. The practitioners explain that in ancient China, there were many ways of self-cultivation to improve one’s physical condition and to attain inner peace. 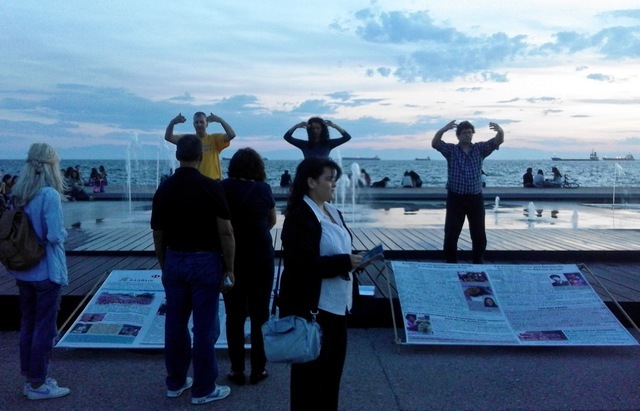 Falun Dafa has four standing exercises that consist of slow, gentle movements, as well as a sitting meditation. The practice is based on the principles of Truthfulness, Compassion, and Forbearance. A series of posters informs people about the brutal persecution of Falun Gong in China, which has been going on since 1999. In addition to posters, the practitioners provide a variety of informational handouts for people to read and take with them. 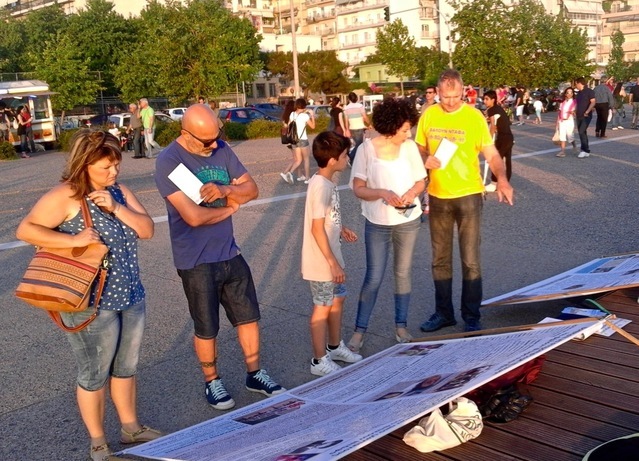 The practitioners' activities in Thessaloniki have been well received by the public, and many people have expressed their support and hope that the persecution will end soon.